The Mini Mack is strong and reliable with a 400 pound weight capacity and a lower seat height for more petite users. Available in blue and red. I find it to be disappointing overall. I guess I should have asked more questions about the rollators that were available because I saw one at the high rise where my 92 yo aunt lives that has the narrower width and lower seat that I need. 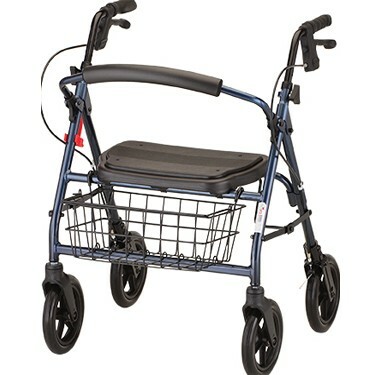 I am trying to remain active and I needed a sturdy rollator because I've really beat up my last two rollators. I was looking for one for short people and this rollator was really built for the top of the range it was advertised for.